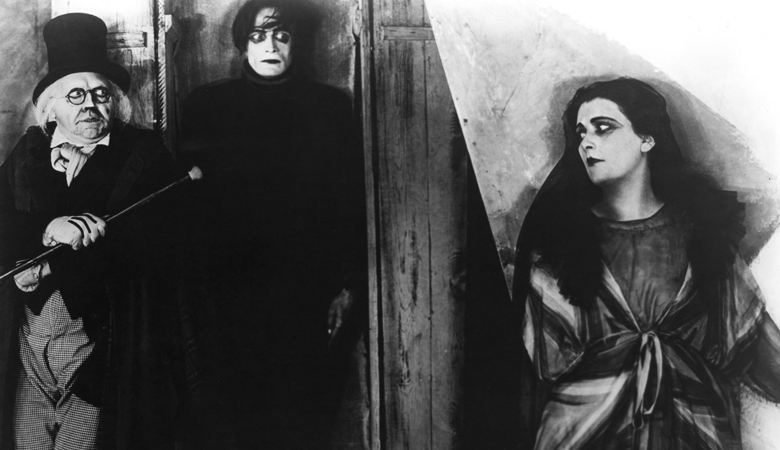 Considered by many to be the first true horror film, The Cabinet of Dr. Caligari (1920) not only holds that title, but exists as the quintessential definitive piece of German expressionist cinema. Its visual style is the pinnacle of the genre, with its crooked backdrops, harsh lines, painted shadows, and surreal nature permeating every scene. Distortions and mangled perspectives are constant, bold brush strokes paint shadows equally with sharp edges and round curves, as lines and structures twist and strike to form nightmarish shapes. It’s horror shot within the bosom of an artistic combination that brings to mind Edvard Munch, MC Escher and Picasso, but lives on as definitively Caligari. After nearly 100 years, its twisted and bizarre visual style is unmatched, positioning the film as a staple in film history studies and examinations of early cinematic pioneers. Roger Ebert says, "Caligari is said to be the first example in cinema of German Expressionism, a visual style in which not only the characters but the world itself is out of joint.” The film was written by Hans Janowitz and Carl Mayer, both of whom were reportedly embittered by the military and distrustful of authority after World War I. The film reflects their sentiments, depicting an authority that is brutal and insane, manipulating those under its observation to their own whim. The somnambulist character of Cesare (Conrad Veidt) is to be viewed as a soldier carrying out orders without any say in the matter. This, of course, was a premonition that echoed the behaviors of German soldiers over the decades that followed. Germany was largely isolated from the rest of the world following the first World War. Expressionism therefore became confined to the country, and refers to a number of creative movements from WWI through the 1920s. Expressionist works examined the current and future state of the culture through bold and artistic expressions of creativity, and often explored topics of madness, betrayal, and other intellectual concepts. Nothing encapsulates all these ideas more than The Cabinet of Dr. Caligari. As German filmmakers and artists emigrated from the country over time, their work influenced art in other parts of the world. The expressionist movement was well in swing in other artistic mediums when it moved into the art of film. 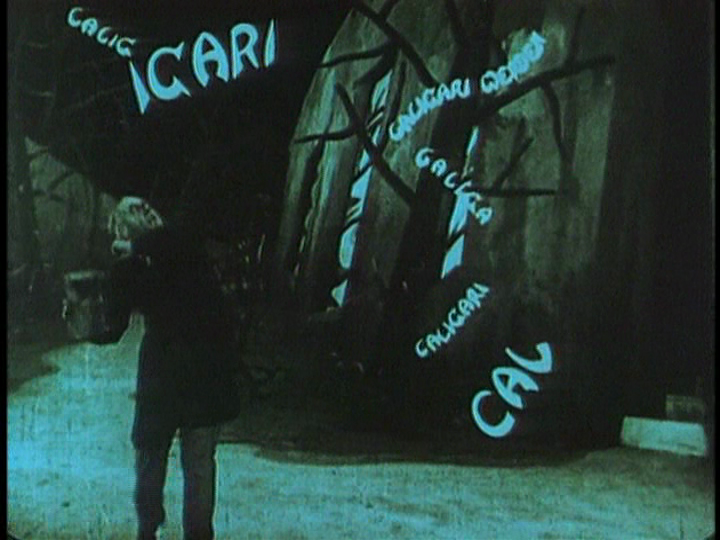 Now, almost a century later, Dr. Caligari is often cited as the cinematic height of the movement. Historians have hailed the film as revolutionary for its contributions to cinema as a whole. It is one of the most examined and widely discussed films in existence and is hugely responsible for drawing attention to the merit of German filmmakers. Film critic Danny Peary called the film “cinema’s first cult film, and a precursor for arthouse films.” It established the concept of using light and shadows to reflect character psychology -- a notion that would continue in German cinema and spill over into film noir, a genre largely influenced by expressionist cinema in tone and narrative. 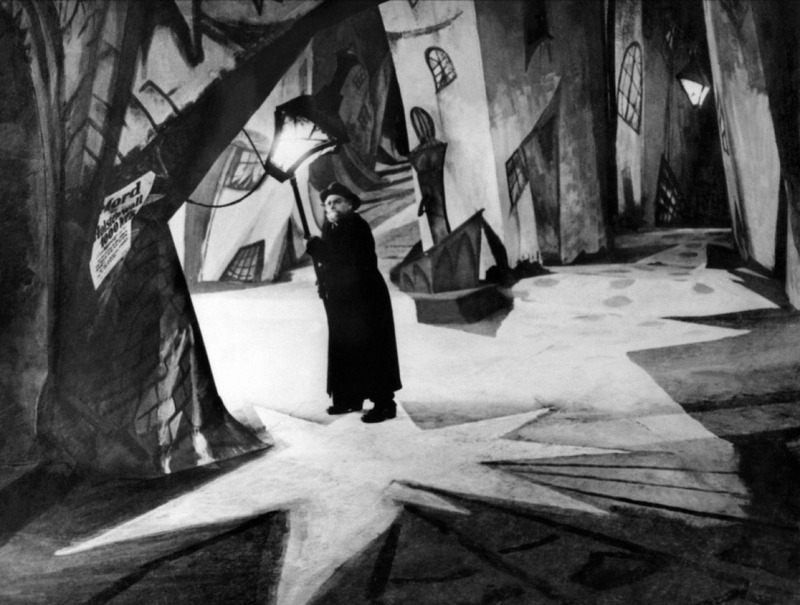 The Cabinet of Dr. Caligari gave birth to the horror genre (and, to an extent, science fiction) in a way that no preceding film had. It’s likely to be explored in academia and privately for generations to come as one of the major influencers in the establishment of early cinema.